The OnePlus 5 just went official on the global stage. The phone supports 34 network bands, hinting at the company’s desire to build a flagship for the whole world. And it’s a flagship with an eye for photography, two eyes in fact! It boasts a “tailor-made” 16MP sensor, which excels at low-light photography with a bright f/1.7 aperture. The additional 20MP sensor is behind a telephoto lens. It enables Portrait mode, which creates a blurred background bokeh while keeping faces sharp. This sensor also helps speed up autofocus by up to 40%. 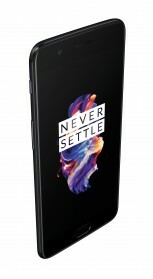 The OnePlus 5 is the company’s thinnest flagship yet, measuring just 7.25mm (the OnePlus X doesn’t count, apparently). 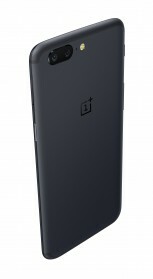 The battery didn’t have to go on a diet, it offers a decent 3,300mAh capacity. That’s 300mAh more than the 3, though 100mAh less than the 3T. Thanks to the new chipset – the Snapdragon 835 – the new phone should last 20% longer than the 3T. Also, Dash Charge is back, promising a full day of battery life in just half an hour of charging. Besides the flagship chipset, the 5 brings up to 8GB of RAM for nigh-unlimited multitasking and faster built-in storage (UFS 2.1 but now with two-lane ROM that is up to 26% faster). You can get it with either 64GB or 128GB storage, there’s no microSD slot. Note that the 64GB model comes with 6GB of RAM. The Oxygen-covered Android 7.1 Nougat brings several refinements over stock, including Gaming Do Not Disturb mode (which prevents accidental key presses and mutes notifications) and Reading Mode (which enhances legibility with gray-scale mapping). 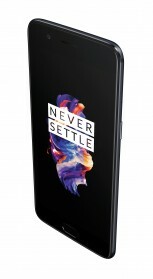 OnePlus didn't say much about the screen as it's a familiar affair - 5.5" AMOLED panels with 1080p resolution date back to the OnePlus 3. It does have DCI-P3 support this time around, as seen on the iPhone 7 and Galaxy S8. By the way, the 3.5mm headphone jack lives on, still on the bottom of the phone where it belongs! 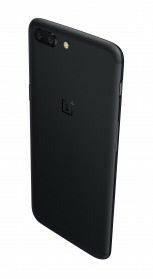 The OnePlus 5 will be available online on oneplus.net starting June 27 (Tuesday). You can snag one today if you watched the unveiling, by using the special code posted there. The other way to grab a unit early is to visit one of the one-day pop-up stores – in New York on June 20 (today) and in several European capitals on June 21 (tomorrow), London, Berlin, Paris, Amsterdam, Helsinki, Copenhagen. North American and European prices are below. I agree totally, the difference between full HD and QHD is more obvious in larger display.